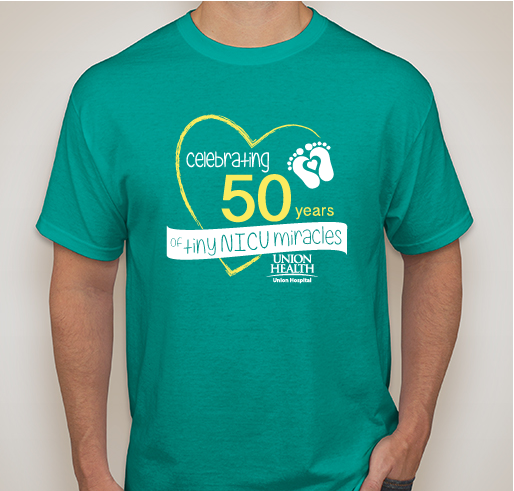 Select a shirt and help us celebrate the 50th Anniversary of the Union Hospital NICU on Saturday, October 20th! In 1968, Doctors William Scully and Thomas Conway opened the first neonatal intensive care unit in the state of Indiana at Union Hospital. 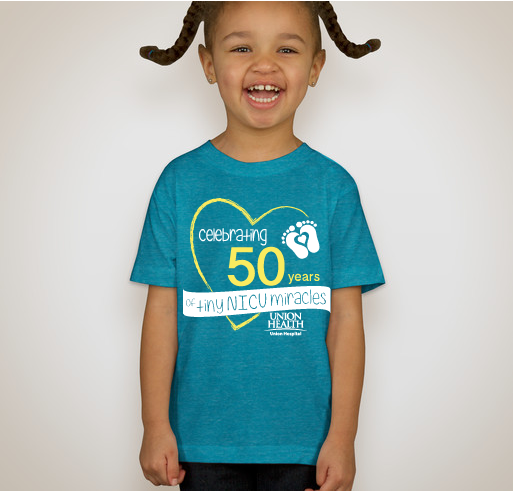 This year, we celebrate 50 years of neonatal care, our caregivers and our patients and families. A portion of proceeds from each shirt will support Union Health Foundation's NICU fund. We invite you to wear your shirt and join us on Saturday, Oct. 20 at Union Hospital East as we honor Doctors Scully and Conway and celebrate our caregivers and the thousands of families who have received NICU care at Union Hospital. Buy a shirt and join us at our NICU Celebration on Oct. 20!